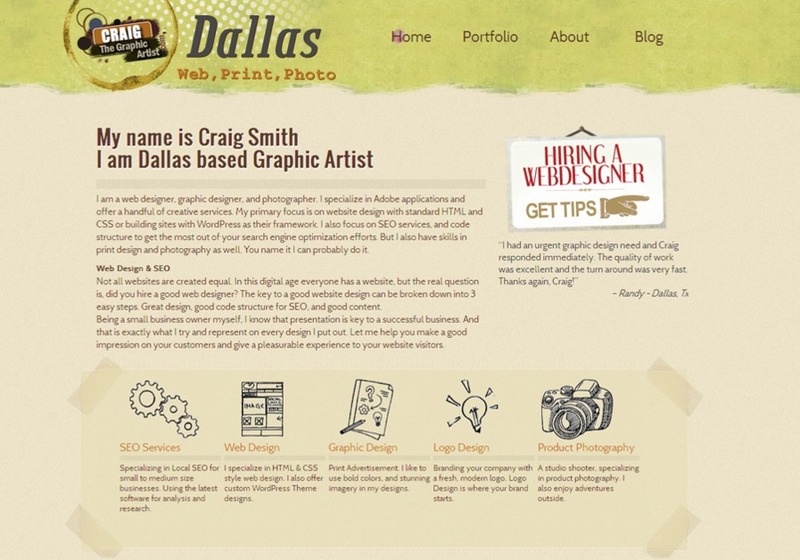 Craig Smith is a Dallas based web designer, specializing in creative web design and web development. With a print background his focus is about building brand and image reputation via online resources. He standout from his competition by being up to date on the latest design trends. There are a lot of cookie cutter web design companies out there, don't sacrifice your brand for a cookie cutter company.